Spice and K2 are popular brand names for synthetic cannabinoids, a group of manmade chemicals that are abused as marijuana substitutes. Also known as “herbal incense” and “fake weed,” these drugs are most commonly available either sprayed on dried plant and herb mixtures for smoking or as a liquid that can be used with e-cigarettes and vaporizers. Synthetic cannabinoids cause physical and mental effects similar to those caused by marijuana (cannabis, weed). However, these drugs are chemically distinct from the main psychoactive ingredient in the marijuana plant – Δ9-tetrahydrocannabinol (THC) – so many of them are not regulated as controlled substances and are sold openly in head shops, convenience stores, and online, making obtaining and abusing these drugs far too easy. Because synthetic cannabinoids skirt drug prohibition laws in many states and are marketed as a legal high, people often mistakenly believe that this means these chemicals are safer than marijuana and other illicit drugs. However, none of these chemicals have been tested for safety in humans, and toxicities have been reported in many users. Various synthetic cannabinoids have also been shown to be 2 to 100 times more potent than THC. Relative to marijuana, this heightened potency may impart a greater risk for toxicity, as well as an increased potential for the development of substance dependency. Finally, because bioactive plants such as Leonotis leonurus (Lion’s Tail) and Pedicularis densiflora (Indian Warrior) are included in many Spice mixes, some users have the false impression that these drugs are derived from “natural” sources. Laboratory tests have proven, however, that it is synthetic cannabinoids sprayed on the plants that are responsible for the effects of these products. Unregulated manufacturers create these drugs in chemical laboratories, and users have no way of checking the quality or safety. Abuse of these drugs can lead to a range of unintended effects and dangers and can exacerbate existing problems. Although Spice is different than marijuana, the effects and patterns of abuse may be similar. According to the Diagnostic and Statistical Manual of Mental Disorders, Fifth Edition (DSM-5), many people who abuse cannabis also abuse other mind-altering substances. Those with a cannabis addiction or cannabis use disorder are more likely to have a co-occurring mental health disorder, such as depression, bipolar disorder, obsessive compulsive disorders, and anti-social personality disorder.15 Detox and treatment programs can help to ensure the comfort and safety of those wanting to stop using in a supervised and supportive environment and help to mitigate some of the issues caused or worsened by Spice abuse. Feelings that time has slowed down. 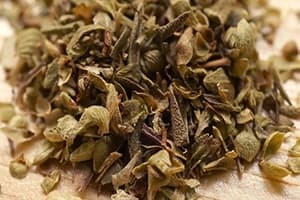 Because the chemicals used to produce synthetic cannabinoids are unknown and are often changing, the immediate effects of Spice may vary from batch to batch and be far different than the individual using the drug expects. This lack of regulation can have dangerous consequences on the user’s physical and mental health. What Are the Consequences of Long-term Spice Use? Decreased goal-directed activity, resulting in poor work or school performance. Increased risk of accidents due to driving, playing sports, or engaging in recreational activities while under the influence. Respiratory problems similar to those found in tobacco smokers. The development or worsening of mental disorders, such as psychosis. Social issues, such as loss of friendships or romantic relationships. Legal problems resulting from driving under the influence or engaging in illegal activities surrounding use. There are hundreds of different synthetic cannabinoid drugs found in products sold in the US and online, and the vast majority of these compounds have never been studied in animals or humans. It is has been shown in laboratory tests that synthetic cannabinoids are more potent than THC, and users of these drugs experience higher rates of toxicities and hospital admissions than users of marijuana 6. Aside from having more toxic reactions, the higher potency of Spice and similar synthetic cannabinoids may put users at greater risk of severe dependency and, ultimately, a more pronounced withdrawal syndrome than marijuana. A recent study reported that a drug detoxification (detox) service in New Zealand admitted more than 6 times as many clients for management of withdrawal from synthetic cannabinoids than from marijuana, and that many of these patients required intensive inpatient treatment that included medication. The amount of Spice used. The length of time it has been abused. While most reported cases of Spice withdrawal in humans involve daily abuse lasting several months or more, rats have been shown to have withdrawal symptoms after being exposed to one of these chemicals for only 4 days, suggesting that dependence may develop very quickly 4. Cardiac issues: Spice withdrawal can put tremendous stress on the heart and cardiovascular system with higher blood pressure and increased pulse for several days after quitting. Depression: With severe depression, the individual is at increased risk of self-injury and suicide. Cravings: Strong cravings for Spice may lead to relapse and prevent long-term recovery. Self-medication: Some people complicate their drug detox by using other drugs to treat the symptoms of Spice withdrawal. Currently, the type of treatment offered for synthetic cannabinoid dependence varies between different facilities. 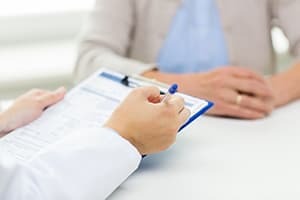 There are no medications or behavioral protocols that have been specifically tested for addiction to these drugs, and many professionals are unfamiliar with the management of synthetic cannabinoid dependence. Additionally, there are hundreds of different chemicals being marketed as Spice, K2, and similar products—making it difficult to know exactly what specific drug a patient has been taking. Benzodiazepines to treat anxiety, agitation, and seizures. Quetiapine (Seroquel) or other antipsychotic medications to manage any emerging psychosis. Labetalol or other antihypertensive and/or rate controlling medications for high blood pressure and rapid heart rate. Saline or sodium bicarbonate infusion for kidney injuries. According to the available medical reports, physical symptoms such as sweating and headaches usually disappear within a few days to a week after use ends, although increased blood pressure may last up to several weeks. In most cases of Spice dependence that have been documented, patients are released after 7 or 8 days. Following the relatively brief period of physical withdrawal, however, former Spice users often experience emotional changes that are much longer-lasting. These changes include increased anxiety and irritability and may result in frequent arguments and conflict with others. 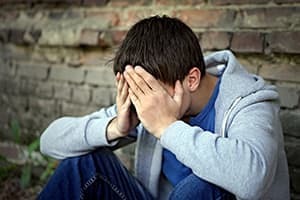 These emotional disturbances are a normal part of recovering from drug dependence, and participation in a structured substance abuse treatment program is key for many in transitioning to a life without drugs. Feeling of relaxation or drowsiness. Some of the toxicities and symptoms caused by withdrawal from synthetic cannabinoids can be very serious, even life-threatening, and detoxing alone can be dangerous. Detox facilities provide medical support and care that keep individuals withdrawing from synthetic cannabinoids safe and give them a better chance of successful recovery. Despite a sincere desire to stop taking these substances, many individuals return to drug use in order to deal with intense withdrawal symptoms. The 24/7 care provided in a supervised detox facility will help to alleviate these symptoms to prevent relapse. When abused, Spice and similar products can cause serious injury to an individual’s heart, kidneys, and gastrointestinal (GI) tract. Medical professionals at detox centers can examine users for these health issues and treat it if necessary. Some users experience extreme agitation or even psychosis during withdrawal from synthetic cannabinoids, and may present a danger to themselves or others. Detox staff can provide a safe environment for those in withdrawal and provide medication, if necessary, to help patients feel more calm and comfortable. In addition to physical symptoms, drug withdrawal and recovery often forces former users to confront mental health issues. It is common for people to use drugs in an attempt to mask or manage underlying mental health problems, such as anxiety. 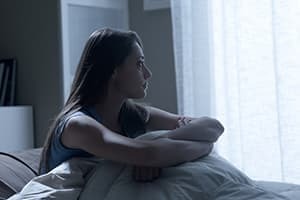 However, even in otherwise healthy people, with no previous history of mental health issues, drug abuse can sometimes produce the signs and symptoms of mental disorders. Synthetic cannabinoids, in particular, are known to produce psychotic- or schizophrenic-like symptoms in healthy users—a phenomenon known as “spiceophrenia”. This condition can occur not only in chronic users, but first time users who have taken a large dose, and combining Spice with marijuana or cocaine appears to increase the risk of developing these symptoms. While it is unknown exactly why some users develop these symptoms and others do not, it may be that some specific synthetic cannabinoids are more likely to induce spiceophrenia than others. Whether there are new or ongoing mental health challenges, detox center staff can help their clients connect with resources to address these issues in a positive, healthy manner. If you or someone you know is struggling with addiction to Spice or other synthetic cannabinoids, help is available. There are many different types of treatment programs across the country depending on your specific needs. As mentioned above, no medications or behavioral therapies have been specifically tested for the treatment of addiction to synthetic cannabinoids. For now, behavioral therapies that are effective for marijuana addiction, such as psychotherapy and motivational incentives (rewards for staying drug-free), are likely to be helpful for individuals who are addicted to Spice. Inpatient rehab programs allow people in recovery to receive round-the-clock support in a secure, controlled environment. It is also helpful to some individuals to be separated for a time from people and places that were associated with their former drug use. For those who need to remain at home due to family or other obligations, outpatient recovery programs are available. Many of these involve intensive counseling and education sessions during the day, but the patient returns home in the evenings. This mode of treatment may also be best for people who have strong support from family and friends who will not try to draw the recovering person back into old destructive habits. Once the initial period of addiction treatment is complete, most people will want to engage in some type of aftercare. Sober living facilities are available for people needing long-term support in their recovery. Clients are typically in these programs for 6 to 12 months and learn independent living skills while benefitting from being part of a drug-free community. Additionally, peer-support programs including 12-step groups, LifeRing, and SMART recovery have local groups across the country and can play a crucial role in maintaining long-term recovery from drug addiction. Addiction to synthetic cannabinoids or other drugs is a daunting challenge, but you do not need to face it alone. The National Institute on Drug Abuse for Teens. (2017). Spice. National Institute on Drug Abuse. (2016). Synthetic Cannabinoids (K2/Spice).